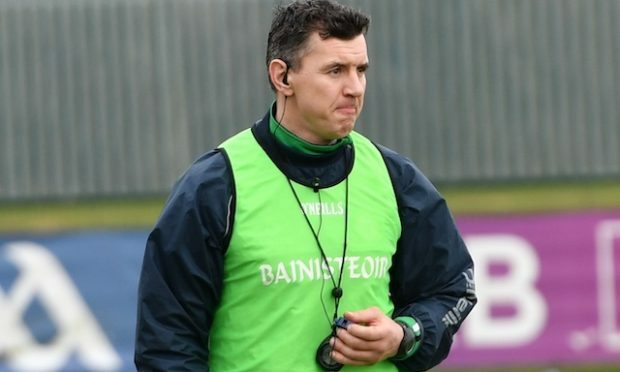 Ahead of travelling to France for the Euros they were thought to have been in the ‘Group of Death’ and the boys in green were not expecting to advance to qualify for the knock out stages. To finish well enough against the likes of Italy, Sweden and Belgium was deemed highly unlikely, but then the magic, so reminiscent of Ireland’s famed 1990 and 1994 outings under Jack Charlton, happened. Sweden were up first and arguably were the weakest side in the group and the team that they desperately needed to pick points up against if they were going to give themselves any chance of qualifying. A 48th minute goal by Wes Hoolahan gave them the ideal start until an agonising own goal by Ciaran Clark in the 71st minute meant that they only got the one point, and also salvaged an important point for their likeliest nearest rivals in the group. Next up was Belgium, and the script went to plan as Axel Witsel and a Roman Lukaku double gave the favourites a 3-0 lead. So the business would need to be done against old foes Italy. The Republic of Ireland threw the kitchen sink at Italy, but coming into the final ten minutes Ireland were still held goalless after some very commendable defending of their own. 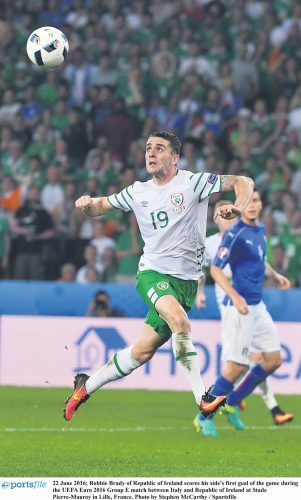 But then, in the standout moment of the whole year Robbie Brady put his shot beyond the reach of Salvatore Sirigu in the 85th minute to score the game’s only goal and clinch a historic 1-0 victory that was just enough to see them progress in the tournament. They would go on to face France in the last 16, and got off to the ideal start when Brady slotted away a second-minute penalty. But the early goal, despite some excruciatingly close chances in the first half to build on their lead, invited France to attack Darren Randolph’s goal, and the team heartbreakingly conceded two goals to Antoine Griezman to dump them out of the tournament. But Ireland had overachieved, and once again let their fans dream and hope the impossible as excitement returned to the national squad. 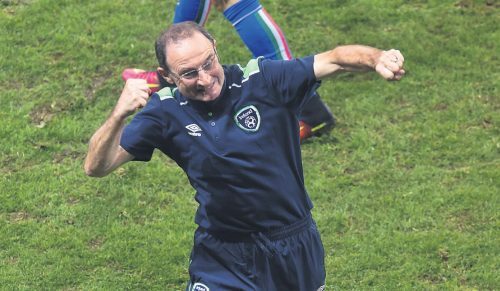 O’Neill and his assistant Roy Keane were part of jubilation scenes during the tournament and fared much better than they had done in their last major tournament under Giovanni Trapattoni when they were pointless in the group stages. And then came the qualifiers for the 2018 World Cup in Russia. Ireland were again handed a fearsome enough group, with Wales, Serbia, Austria, Georgia and Moldova standing in their way of a place in the tournament. But they have got off to an ideal start and are two points ahead of second placed side Serbia with ten points from four games. 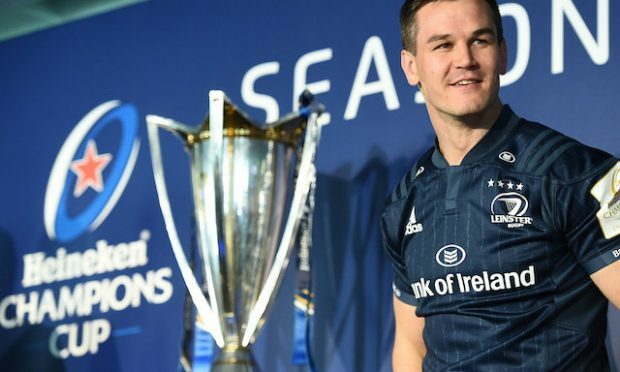 It has been a great return from the Irish team, especially when the table is studied in detail where their rivals have all dropped vital points. They are six points better off of Russia, and four points ahead of Wales who disastrously lose two points to Georgia. That then will be the next target, and hopefully highlight of 2017, as Ireland face the Euro 2016 semi-finalists next as Wales travel to Dublin in March. The last 12 months have been really promising in terms of Ireland’s soccer ambitions, with several players really coming to the fore and looking like they will make a formidable force to be reckoned with in the years to come. Even the tactics have become more positive, with O’Neill starting to name increasingly attacking minded team sheets to further consolidate the belief he has in his young team. 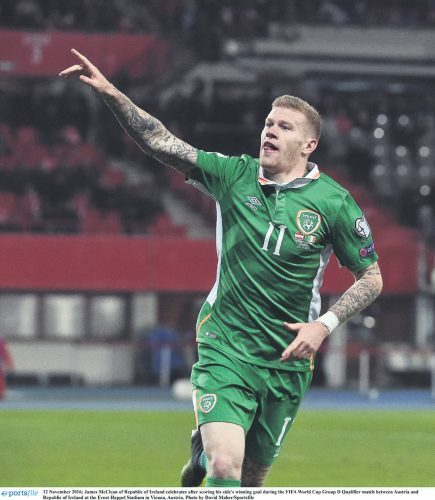 James McClean in particular has had an excellent qualifying campaign thus far, scoring three times in his past two matches. 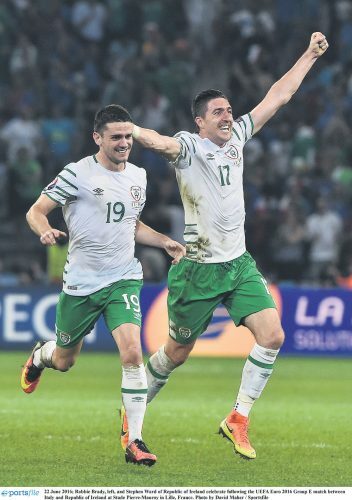 His vital strike in Vienna gave Ireland a really important three points against Austria, away from home. It was a far cry from the opening qualifying game against Georgia, where a Euro-hangover, seemed to be in play for the opening 45 minutes in one of the side’s most dour performances in recent memory. But Ireland dug their heels in that night in Dublin, and ground out an essential win for their first three points. And the qualifiers saw the final ever appearance by captain Robbie Keane, as he chose the Oman game at the Aviva to be his last before international retirement. 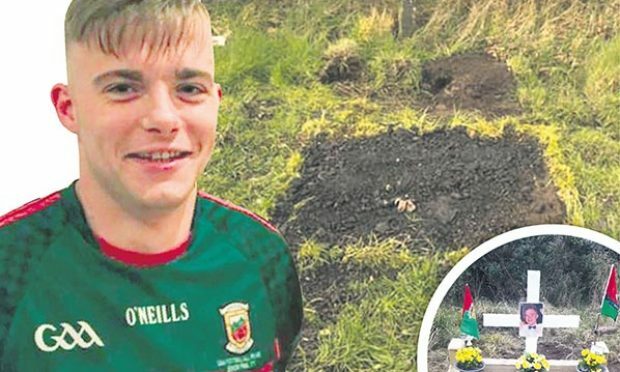 And in jubilant scenes, the Dublin striker, as he has done so many other times delighted fans with a goal in the game, which finished 3-0. It was his 68th international goal and put him level with German legend Gerd Muller on the all-time list.